There are different moments in nature that impact each of us in a way that we are able to connect. Sunsets, for instance, are pretty universal in their intimacy. With all that I’ve done as a nature photographer — penguins, polar bears and so forth — the most interesting creature to me is the hummingbird. I recently found myself taking short high speed movies of these tiny (super tiny) little creatures and somehow caught this particular fella fly into the frame, stop and look at me, before continuing on. This is completely magical and I am enthralled. 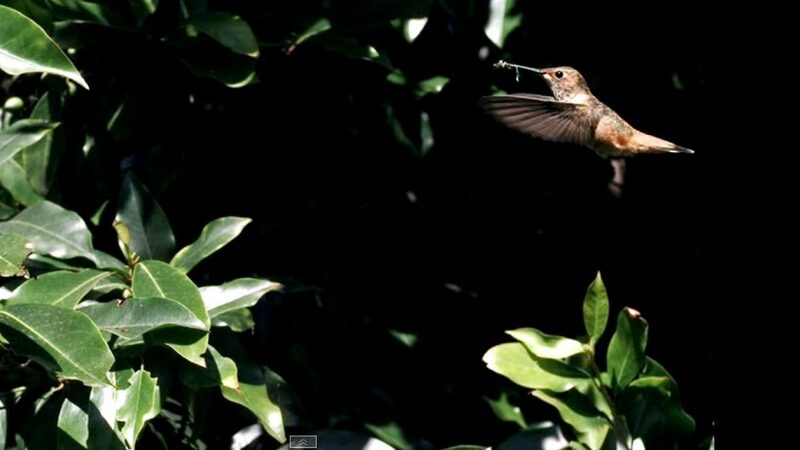 Enjoy the hummingbird who lives in my yard at 750 frames per second.